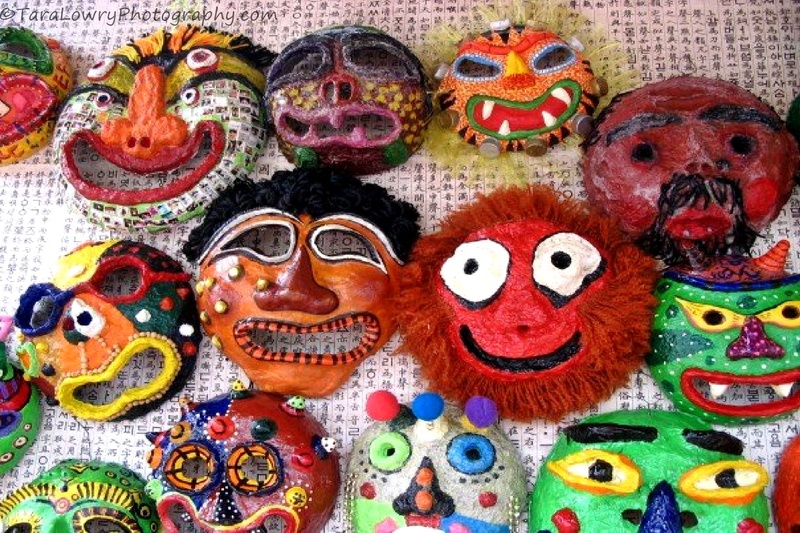 Masks on display as part of a creative mask contest. 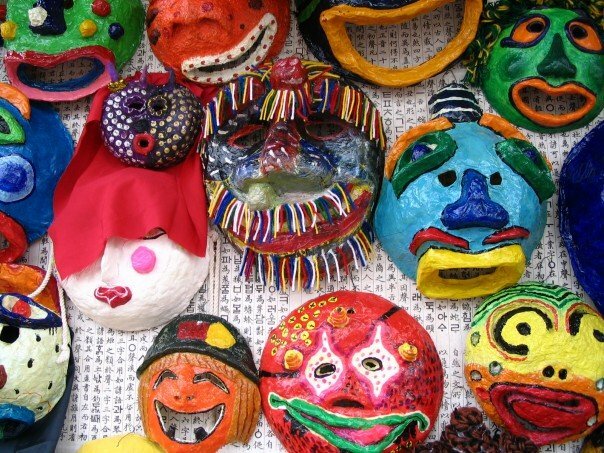 The Andong Mask Dance Festival is a lively and colourful event highlighting the many traditional mask dances of South Korea. International groups are also invited, making it a multicultural affair and a lot of fun to watch. 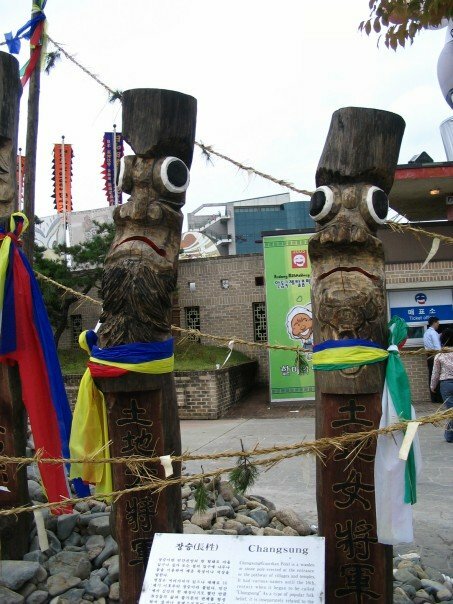 Chang Sung or Jangseung are a type of Korean totem pole usually made of wood. 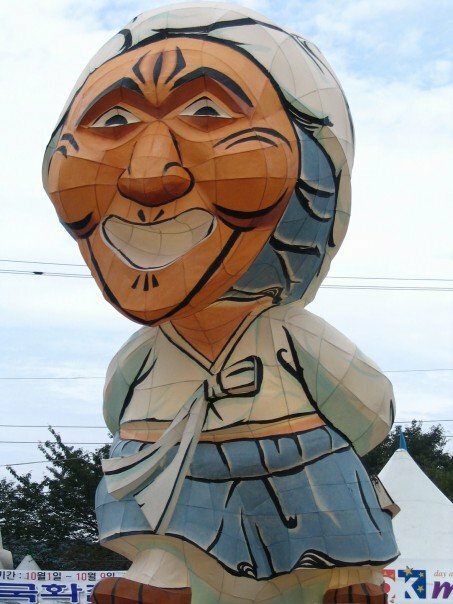 They were traditionally placed at the edges of villages to act as guardians. 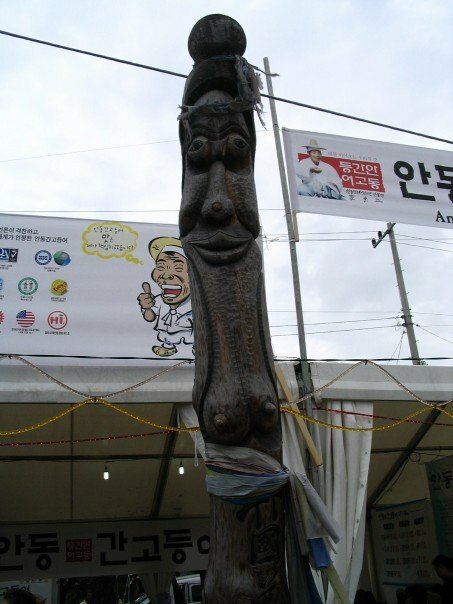 The Mask Dance Festival has over 50 events and hands-on experience programs including the National & International Mask Dance Performance, World Mask Competition, original mask performances, mask dance learning, madang play, original puppet plays, a world mask exhibit, mask making and more. The 2015 festival takes place from September 25-October 4th. For more information, have a look HERE.